The welcome pack for new and prospective members provides important information on key areas of the club's golf and off-course activities. Existing members may also find it useful as a point of reference. The list of individual information inserts is shown in the column to the right. 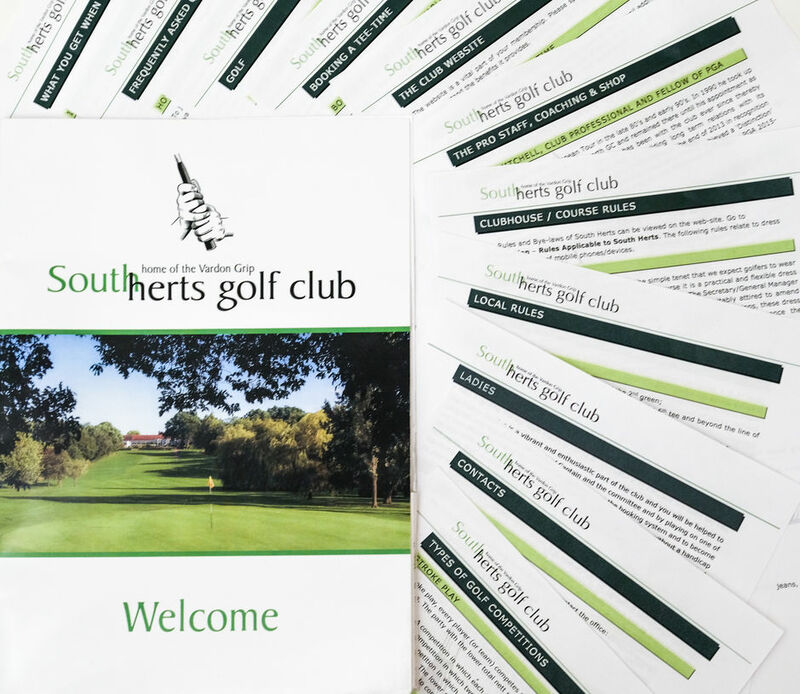 Any member with friends/colleagues who may be potential members of South Herts should contact the office for a welcome pack.